PDT Partners, a quantitative investment manager, seeks an analytical, productive, detail-loving Fund Accountant to join our Finance & Accounting team. This is a great opportunity to hone existing accounting, analysis, & reporting skills, while diving deeply into the financial operations of a global hedge fund. Responsibilities will range from fund accounting & financial statement preparation to tax compliance & strategy. The Fund Accountant will work closely with the team, Chief Financial Officer, as well as with our fund operations, legal & compliance, investor relations, & operational risk management groups. Why join us? 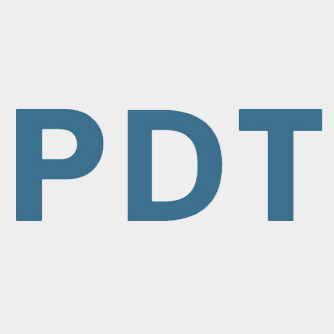 PDT Partners has a stellar twenty-five year track record & a reputation for excellence. Our goal is to be the best quantitative investment manager in the worldmeasured by the quality of our products, not their size. PDTs extremely high employee-retention rate speaks for itself. Our people are intellectually exceptional & our community is close-knit, down-to-earth, & diverse. Create mid-month & end-of-month NAV packs that include NAV calculations that shadow the Administrator. Review trade/cash, dividend, & P&L reconciliations in support of the NAV reconciliations. Participate on year-end audit & preparation of financials for the funds. Participate on year-end tax compliance. Work on complex expense allocation for the funds. Cover treasury responsibilities (maintaining adequate margin at counterparties & understanding margin rules & methodologies). Liaising with the prime brokers, administrator, & auditors. Prepare certain regulatory filings (Form PF, PQR, BE-185, etc). Provide financial data for third parties, including investors & trading counterparties. Participate on new product launches & integration into existing fund accounting systems. Lead ad hoc projects to improve efficiencies or revamp processes in the group. Excellent problem-solving & research skills. Strong organizational & execution skills. Knowledge of Geneva or similar accounting system. Knowledge of SQL, Python, or Tableau desirable but not required. Bachelors degree in accounting, finance, economics or related fields from an excellent academic program.